Just how humble did these nobodies, schlepping through the wilderness of Sinai, have to become? The indignities of forced labor—stomping straw in the mud of the Nile to make bricks—had not humbled them enough? Dirty and smelly from a forty-year march, they still reek of pride? How often, Lord, must I fall on my face before I am as humble as you want? The world can’t be saved without your making a fool of me—again? We think we might arrive at sufficient humility. But, no, the day never comes. Not even in eternity. We fall on our faces in heaven, too. But then only in delighted awe and to give highest honor. 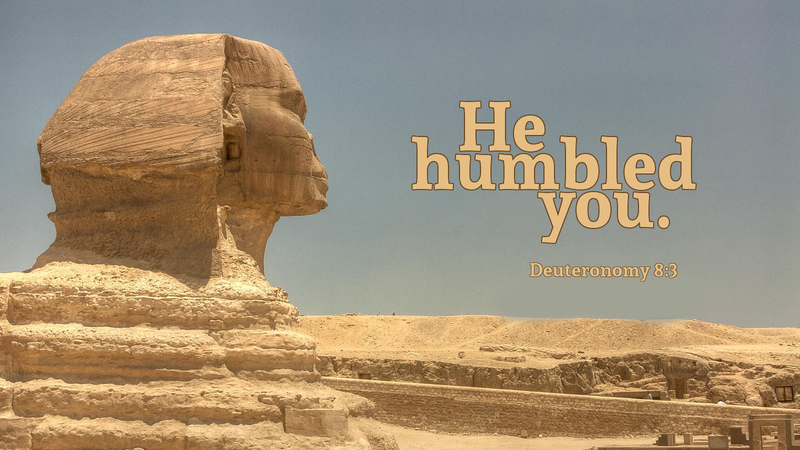 Humility is the capacity to unreservedly delight in the exaltation of everyone else. In the Garden of Eden, we wanted to become like God. In the Garden of Delights, we finally do. We become more and more like the humble God who, for the exaltation of his enemies, bowed his head on a cross and lowered himself beneath all that he had made. Prayer: Receive all the glory, O God—you who have given all of yours away. Amen. Humility is something that Christians should seek, but like written is seldom achieved. If I say that I am humble, that is a sure sign that I am not. Since we are all born with egos and our parents, to build our self-esteem also feed into our ego. But, we are to be humble before the Lord, Can we dance on that thin line between being humble, yet being proud of our accomplishments? How do we strike that balance? Can pride and humility live together in one soul?